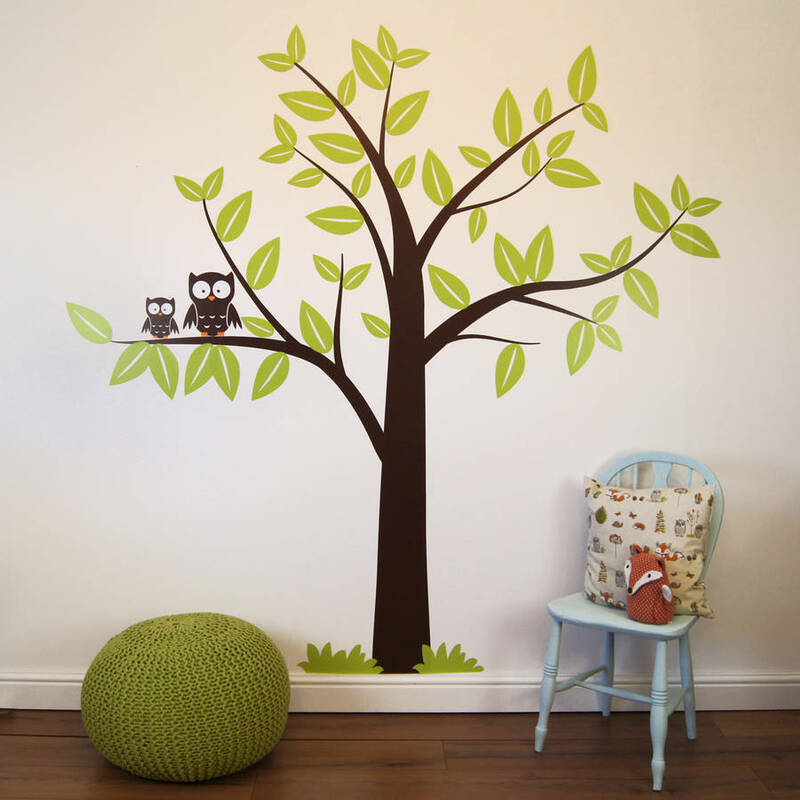 Our beautiful owl tree wall stickers will look great in any childrens play area or bedroom. Once installed this tree will make quite an impact at 200cm x 200cm. 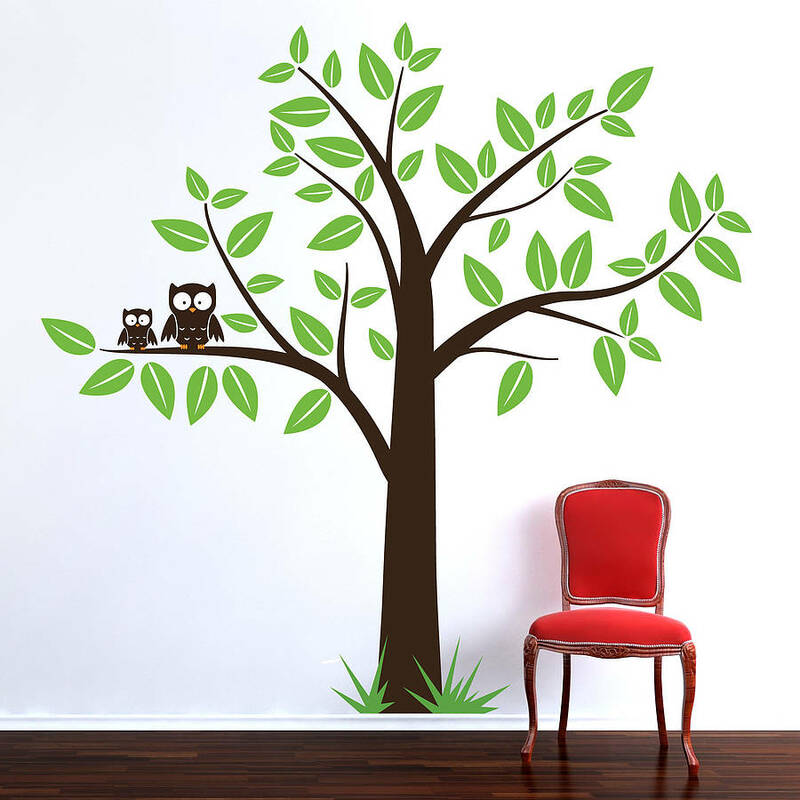 Simple yet effective the colours on this tree can be changed to suit your decor. 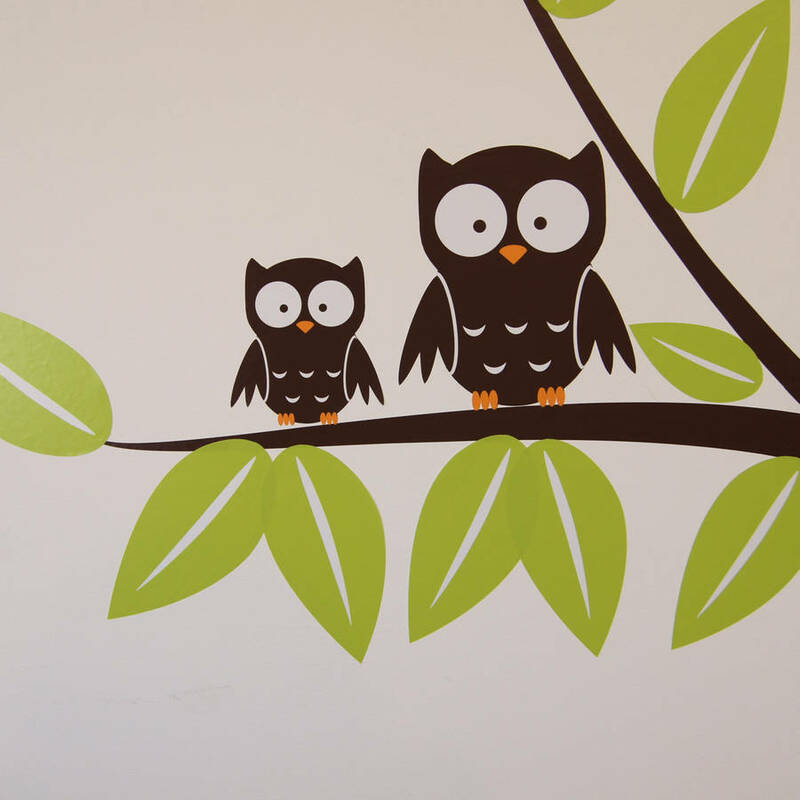 An engaging and vivid design we are confident that your children will love our wall sticker. Why not purchase a sunshine or grass wall sticker to make up your scene, we offer free postage so these can all be added to your basket together. 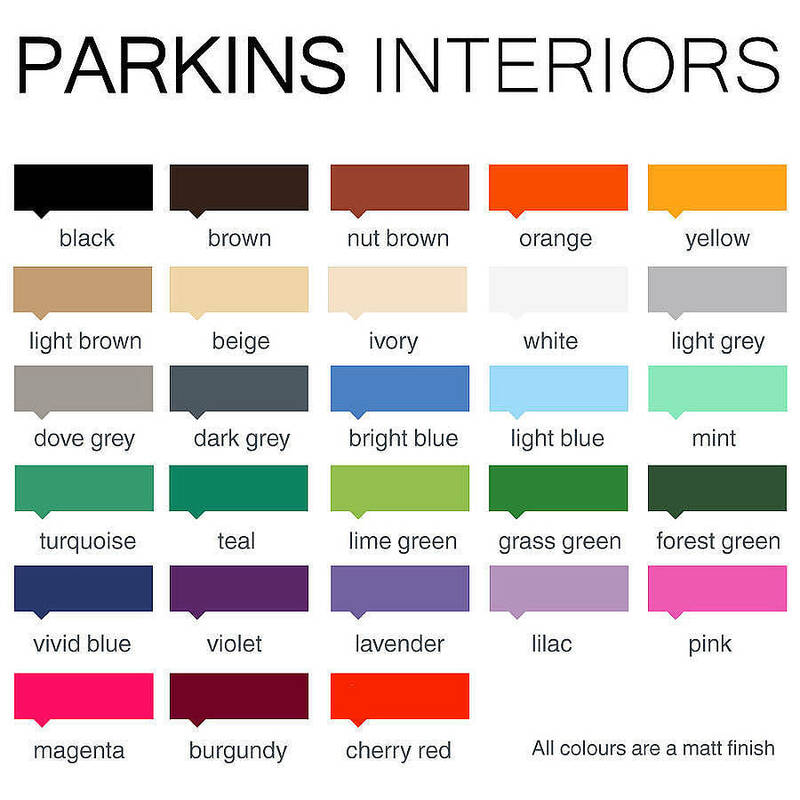 You can customise this wall sticker by selecting alternative colours from our chart. Approx tree dimensions: height: 200cm, width: 200cm.